This will be the thread to post in with details of your Builds from the designs of Glynn Guest and Vic Smeed. You can super detail or build as original. ask any questions about the themes here as well. Well after some thought I have decided on my build for the Vic Smeed/Glynn Guest Theme for next year. 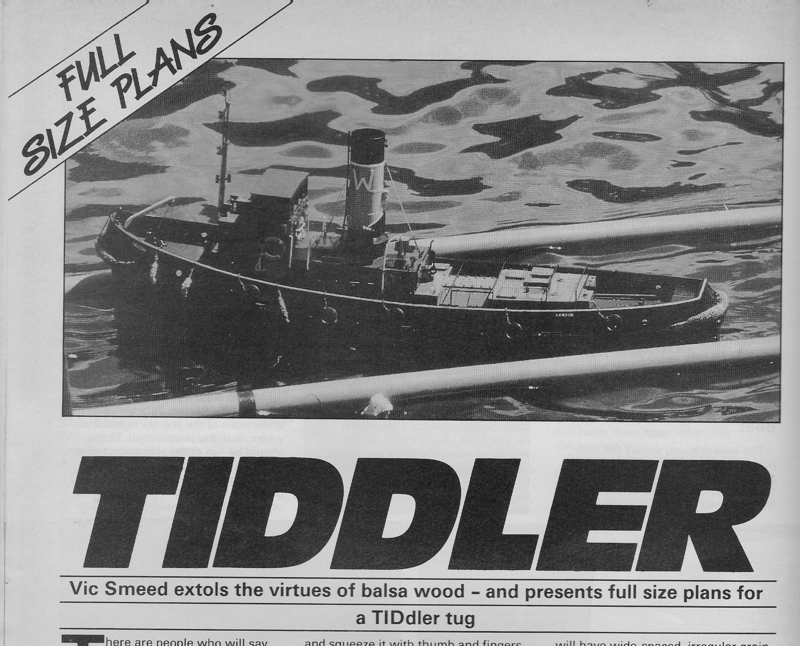 and the model is...................Empire Jubilee CAM Ship in 1/144 scale. I've just bought the plans and awaiting the envelope to arrive soon! And, from the other end of the spectrum, a reduced Vic Smeed Spurtster for twin Chinese mini jet drives instead of the Taplin Twin version! My entry will be HMS Penelope built from the plan by Glynn Guest. It will be a mix of hull as per the plan with card superstructure and detailed weapons etc. I will build it to 1:96th scale, so may be a two part hull. It mixes my desire to have a Cruiser model and the intention to try my hand at a Glynn Guest design. Had I not seen Mark's model of HMS Suffolk at Wicksteed the other weekend, Mr Guest's latest plan of the Nomad would have been a cert'. Chris Drage's dioramam of HMS Penelope made the decision even more exciting when I saw the colour scheme she wore for a few weeks in 1940. To simulate sheet steel, do we think this can be built with 0.5mm copper plate? If you can find a plating diagram then all the more accurate. Otherwise it should be possible. You need to make a hull form from hardwood so you can build the plates onto it for soldering and finishing. There is a piece on how a retired officer built such hulls, but from food tin suitably flattened. If sailed in the sea: left partly bare, you could generate some of your required power from the interaction between the brine and copper! Does anyone have a source for the Glynn Guest UTE plans while the Traplet store is down? If the "theme" is vintage style boats, and as I will be spending most of this year and part of 2018 on my 7 foot long mega boat, I will have to apply as HMS Agincourt as would have been built by Vic Smeed (had he built one). Did he serve on her? Interesting. Hi Ballastanksian, if you mean Vic Smeed he was in the RAF. Finally got myself some UTE plans, me and my boy are going to have a go at making one each over the Winter. Really looking forward to it. I am building a Vic Smeed Bustler (and more or less to the original design), hopefully it will be finished by next year! Any pics of ongoing builds for this??? Come on lets have them.